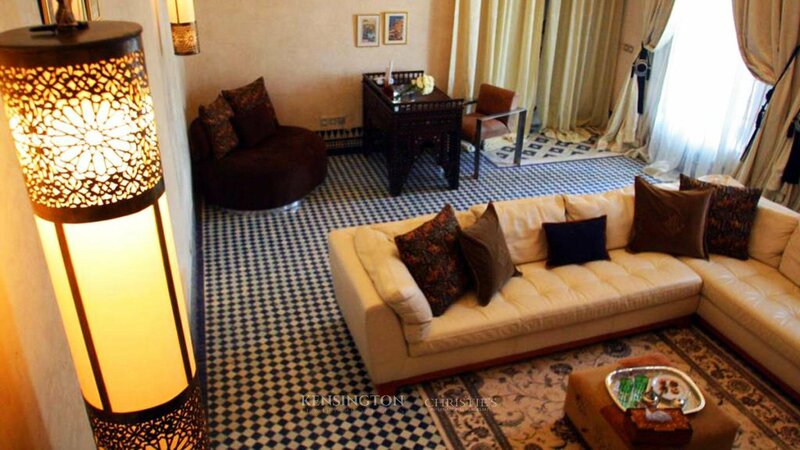 Riad For Sale in Fes. 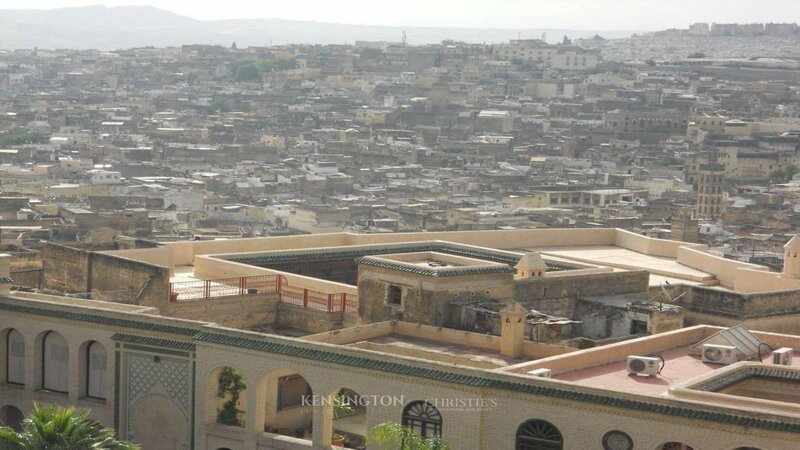 This historic Palace in the Fes Medina is on Unesco's list of houses to protect. 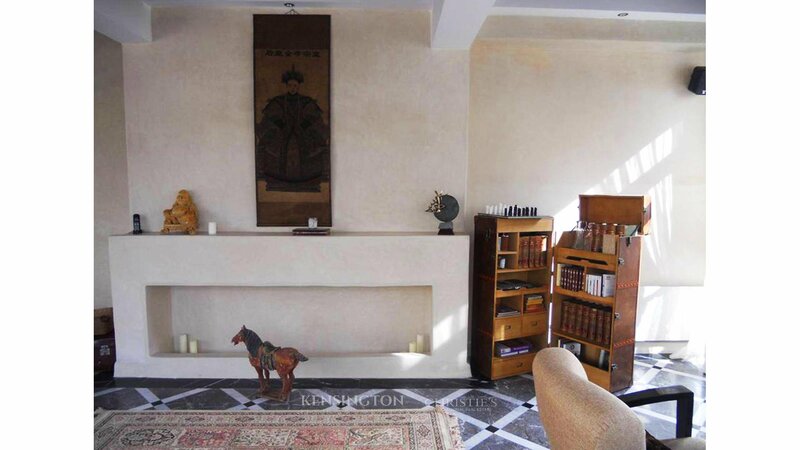 It has a panoramic terrace with lift access. 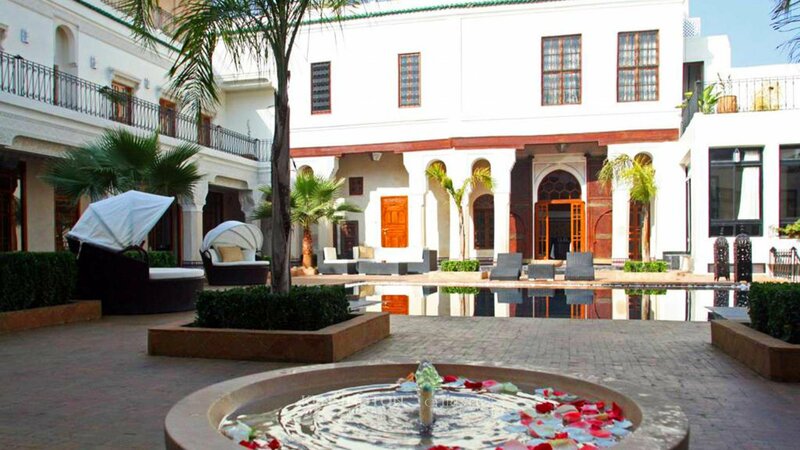 Ideally located close to the famous Blue Door, at the crossroads of History and arts, this Palace is a former private residence of Morocco’s powerfull Tazi family, offering discrete luxury at the heart of the Fez Medina. 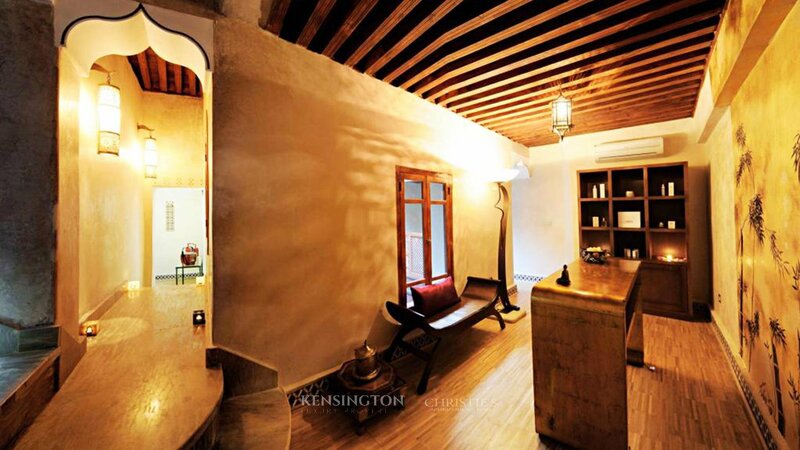 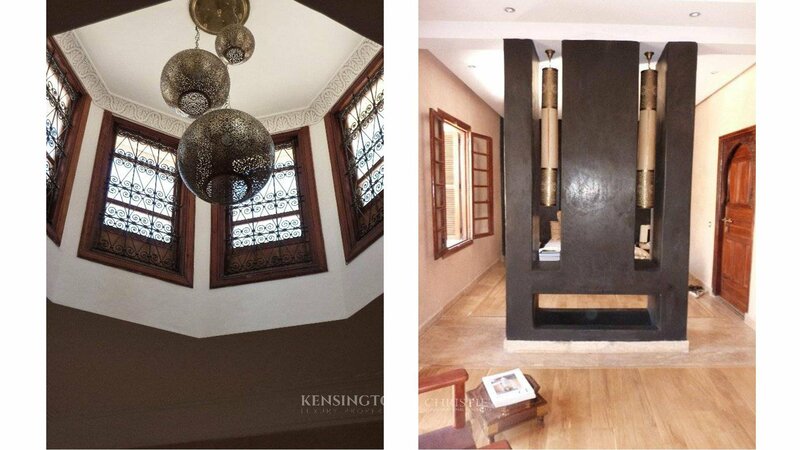 It is one of the widest properties in the medina and the only great residential riad that has been refurbished. 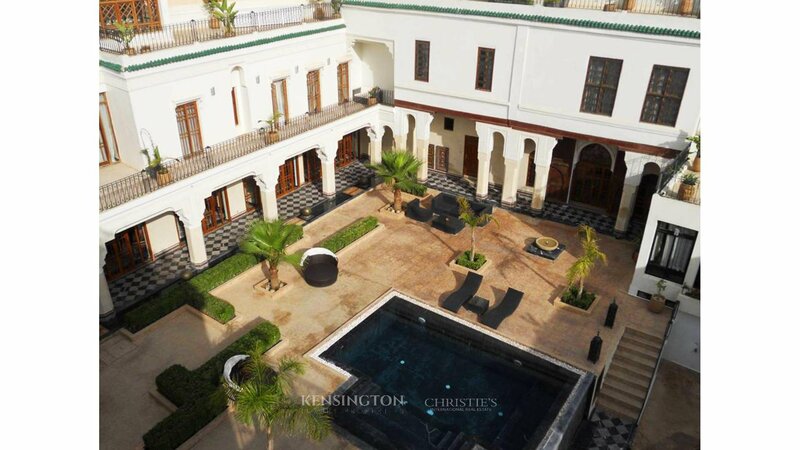 This stunning place stands first in line on the Unesco listing of the houses most worth protecting in the Fez medina . 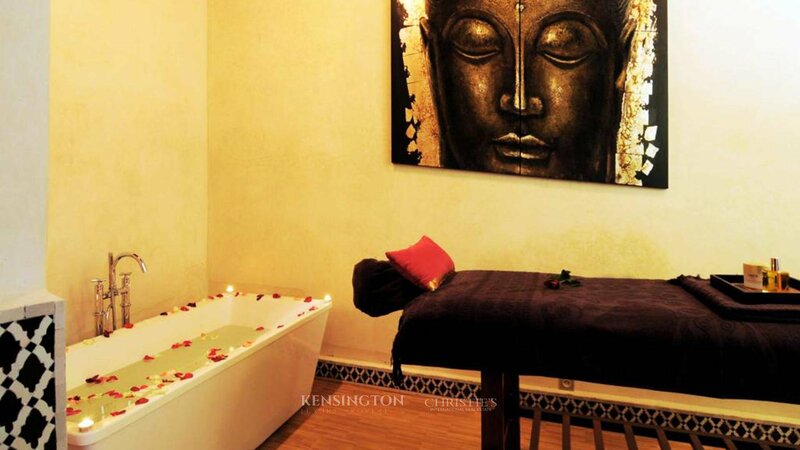 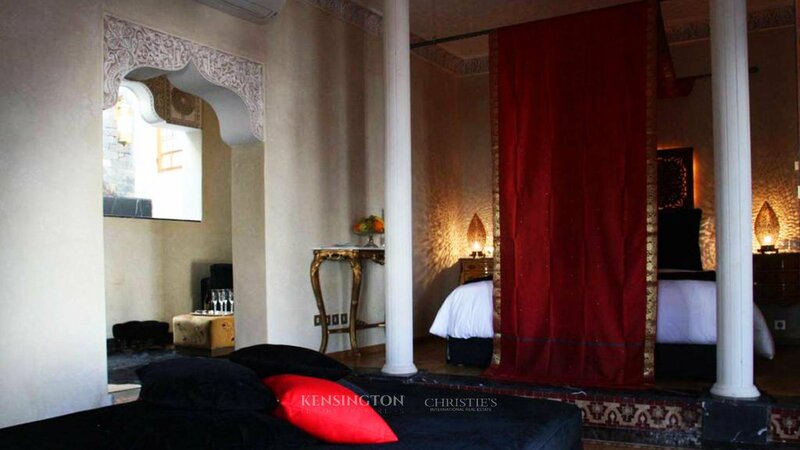 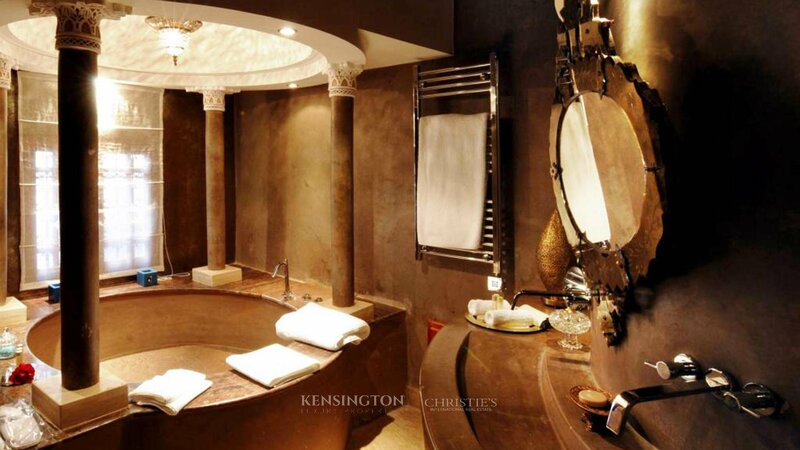 Designed in Moroccan and Art deco style, taddelakt, marble, stucco and wood floorings in bedrooms. 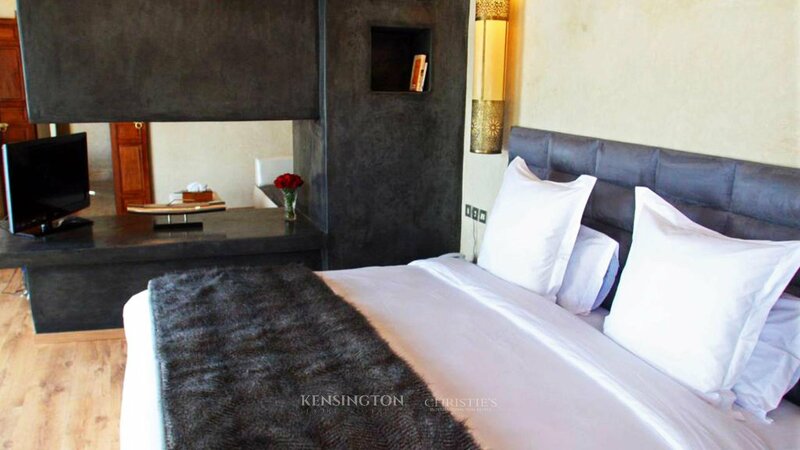 All rooms and most living areas have bioethanol fireplaces, terraces or balconies offering stunning views on the medina and surrounding mountains. 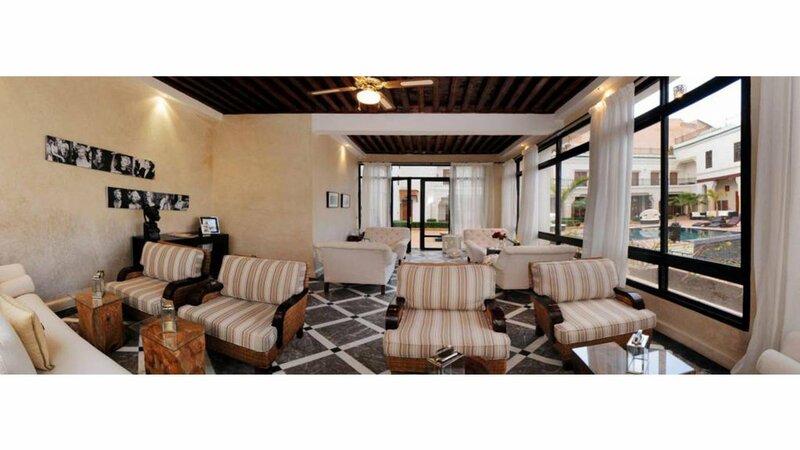 The property is equipped with air conditioning and heating system, satellite TV and wifi access all over the place. 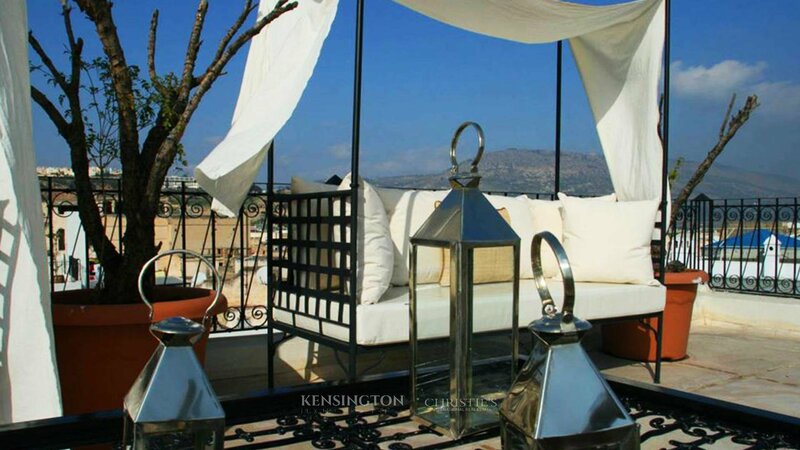 There is a panoramic terrace with lift access.